The American Divorce Association for Men (ADAM) in Flint, MI understands and protects against the unfair bias towards men in Michigan divorce cases. If you are a man considering divorce or if your spouse has served you papers, call ADAM for a free phone consultation. 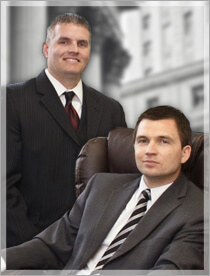 Our attorneys are skilled negotiators and aggressive litigators. We will listen to your side, consider your situation, and prepare a solid strategy for getting the results you need. We can help you in all areas of family law, including: divorce, child custody, parenting time, paternity, child support, spousal support, property settlement, and post judgment modifications. When it comes to your future and your children’s well being, be sure your family law attorney is one whose experience, reputation, and results reflect a true understanding of the male perspective. While we can’t promise specific results, with ADAM on your side, you can expect ethical, professional service tailored to your family’s situation.